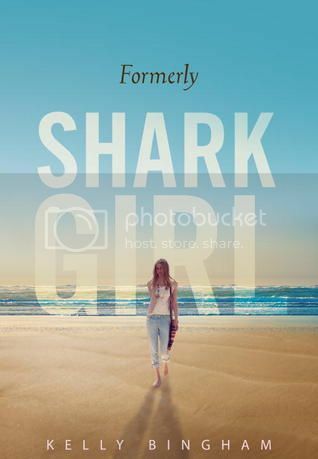 High school senior Jane Arrowood may have physically healed from the loss of her arm in a shark attack the year prior but she still grapples with emotional scars in this narrative poetry novel sequel to Shark Girl. Jane struggles as she tries to decide what path to take: continue her love of art as a painter, or try becoming a nurse - a way of paying it forward for the nurses who saved her life after the attack. Poems are interspersed with “fan mail” which are condescending and inspiring by turns. Some of the letters say things like, “Seeing you makes me realize how lucky I am,” while others simply offer encouragement. No one is more surprised than Jane by a budding new relationship with college freshman, Max Shannon. She discovers that he’s dealing with troubles of his own as he’s chosen to give up going away for college to stay at home and care for his mentally troubled father. This coming of age story showcases Jane’s mental turmoil and ultimately, her strength of character. Recommend this to teens who are looking for something that falls somewhere between the poetic melodrama of Ellen Hopkins and the soul-searching realistic fiction of Sarah Dessen.